Have you ever read a book that spoke to you? Have you ever read a book that changed your life for the better? Have you ever read a book with a character just like you in it? Have you ever gone through a difficult time and a book gave you the help or support you needed? Have you ever read a book that was so powerful to you that you stayed up all night to finish it? If you answered yes to any of these questions, then you have found that elusive yet magical connection with the written word. 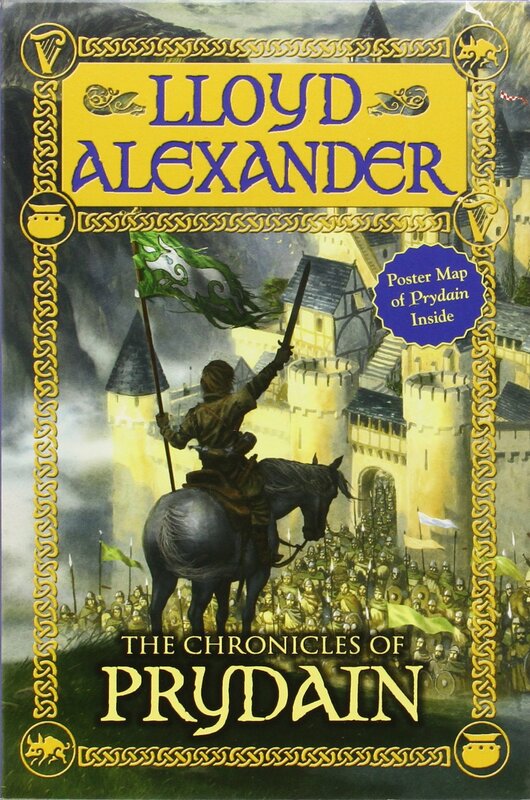 My own connection came when I finished the last of Lloyd Alexander’s The Prydain Chronicles as a fourteen-year-old. I remember that moment of loss when I finished the last word, knowing there would be no more. I also remember, however, the great sense of empowerment I felt in knowing that evil could be conquered and that even the humblest pig boy could make a difference. I faced many struggles as a child, and this sense of empowerment was just what I needed to make me stronger and help me to face the real world with a sense of my own ability to overcome negative situations. My experience reading The Prydain Chronicles is one of my defining moments that made me love books and reading. Chances are that most readers who are passionate about literature have had a similar defining experience. As a library professional, I strive to ensure that the individuals I interact with are surrounded by an environment that would allow them to have their own positive defining experience with books. But the truth is, that lifelong, passionate readers are only created when we take the time to develop, teach, and engage in positive experiences with books. Each reader must find a book that he or she connects with. Some individuals may think that there are young people out there who will never be readers, but I believe that this is not true. Anyone can be a reader, and those who are not readers just have not found the right book yet. So here at Worlds Awaiting we send out a call to all concerned adults to take some time to help the children in their lives find the right book so they can start on the path to becoming lifelong readers. The Book of Three by Lloyd Alexander. Dell Yearling, 1969. The Black Cauldron by Lloyd Alexander. Dell Yearling, 1969. The Castle of Llyr by Lloyd Alexander. Dell Yearling, 1969. Taran Wanderer by Lloyd Alexander. Dell Yearling, 1969. The High King by Lloyd Alexander. Dell Yearling, 1969. Welcome to a 90 second movie review for the film Goodbye Christopher Robin. Goodbye Christopher Robin is the story about A.A. Milne and his family. Milne wrote the vastly popular Winnie the Pooh books at a time when England needed a positive kick in the pants. Milne is played by Domhnall Gleeson and his wife, Daphne, by Margot Robbie. Their son Christopher Robin, Will Tilston, comes along and Mom still wants her old life while Dad is still recovering from the First World War. I was lost in this story because it is so good. The acting made me feel something for each character on the screen, and yes I did tear up. This is a film that will take you on an emotional journey. You will go from laughter, to fear, to tragedy and back to happiness many times over in less than two hours. Whether or not the story is factual does not matter, just enjoy the show on the screen and feel the emotions the actors are giving you. While the film centers around the children’s books Milne created, the story is one of a family and what happens to them as the books become very popular. The actors and the filmmakers have done an excellent job telling the story of this family. Watch out for Will Tilston. The look of this film is beautiful using many natural shots of the forest with father and son. Even the special effects get in on the story as they change the imagination of a boy from winter to summer in a very unique way. This film is touching and brilliant. Parents please note that there are some scenes of warfare and characters suffer from PTSD. There is some social drinking and smoking that takes place. Very little profanity can be heard, but there is some bullying. Goodbye Christopher Robin is rated PG and I am giving it an A grade. Thanks for listening I’m Shawn O’Neill and this has been a 90 second movie review on BYU Radio.